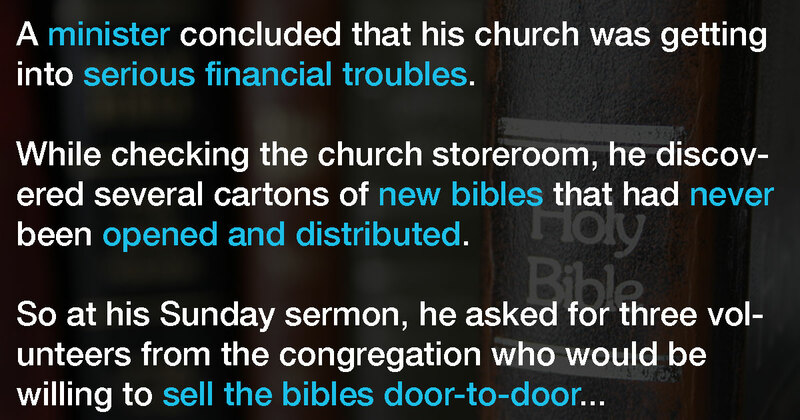 While checking the church storeroom, he discovered several cartons of new bibles that had never been opened and distributed. Peter, Paul and Louie all raised their hands to volunteer for the task. 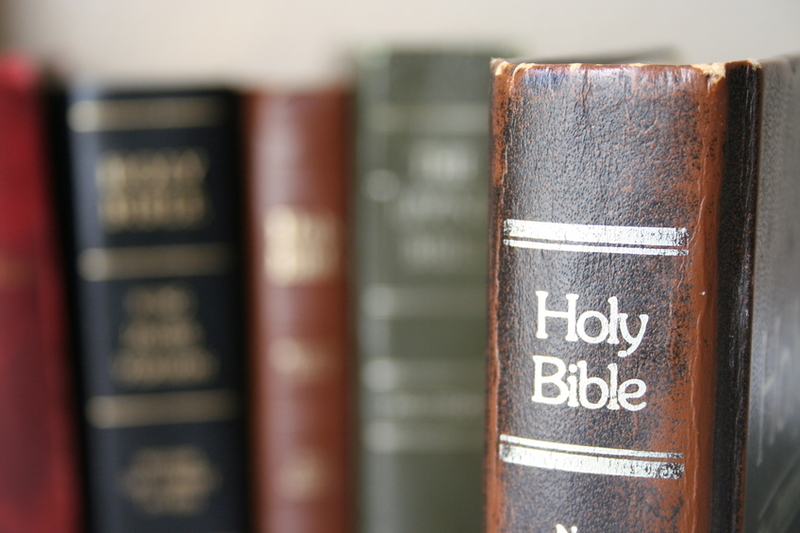 The minister knew that Peter and Paul earned their living as salesmen and were likely capable of selling some bibles. But he had serious doubts about Louie who was a local farmer, who had always kept to himself because he was embarrassed by his speech impediment. Poor Louis stuttered badly. But, not wanting to discourage Louis, the minister decided to let him try anyway. Louie silently offered the minister a large envelope. The reverend opened it and counted the contents. “What is this?” the minister exclaimed. “Louie, there’s $3200 in here! 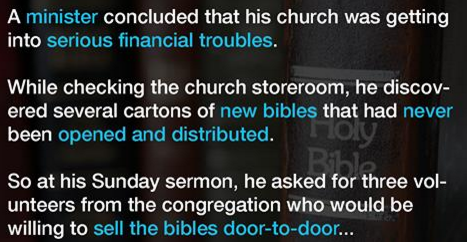 Are you suggesting that you sold 320 bibles for the church, door to door, in just one week? Louie shrugged. “I-I-I- re-re-really do-do-don’t kn-kn-know f-f-f-for sh -sh-sh-sure,” he stammered.